While Bro.Yesupadam was still young, his father died of throat cancer. His mother had a dream of making him a well educated and good job holder. But he fell into the worldly desires and spoiled his life. Before he came to know about Jesus he had worked in a factory. His factory owner was a good believer of Christ. Bro.Yesupadam was inspired by the personal testimony of his owner and he accepted Jesus as his personal savior in the year 1980. While he was still working as a permanent employee in the factory, he received a call from God in the year 1999. But he overlooked His word two times and as a result of it he lost much in his life. When the third time God in his vision told him clearly, he confessed his wrong doing and instantly obeyed to God’s Word. Later he fully offered himself to His service. 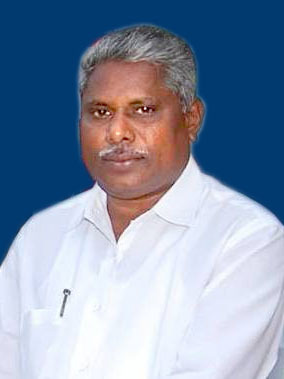 Bro.Yesupadam started His ministry in the year 1997 October 18th at a village called ‘Kankipadu’. God has blessed this ministry and used Bro.Yesupadam in His service. 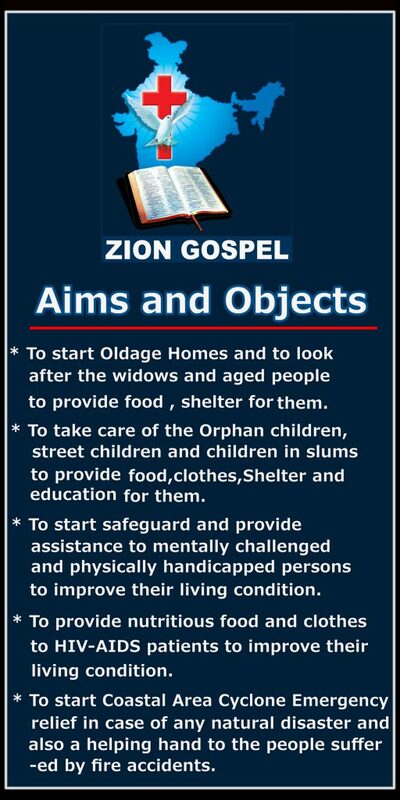 God has done miraculous things like healings, deliverance from the evil spirits, salvation of people etc., in ‘Zion Gospel Ministries of India’. As he wanted to serve the Lord like Apostles, he offered his property in service to the Lord. Psalms 41:1,2 – Blessed is he that considereth the poor: the LORD will deliver him in time of trouble. The LORD will preserve him, and keep him alive; and he shall be blessed upon the earth: and thou wilt not deliver him unto the will of his enemies. I Timothy 6:17-19 – Command those who are rich in this present world not to be arrogant nor to put their hope in wealth, which is so uncertain, but to put their hope in God, who richly provides us with everything for our enjoyment. 18 Command them to do good, to be rich in good deeds, and to be generous and willing to share. 19 In this way they will lay up treasure for themselves as a firm foundation for the coming age, so that they may take hold of the life that is truly life. James 1:27 – ….to look after orphans and widows in their distress and to keep oneself from being polluted by the world. Please remember this ministry in your prayers.